Are you facing the major task of trying to get rid of weeds in vegetable gardens? Wouldn’t it be nice if we could all know how to stop weeds from growing? They are just such as nuisance! But why should you care about weed control? Weeds steal nutrients from the vegetables. And they suffocate vegetable plants as well. Basically, weeds are any plant or flower that is out of place. If it is competing with your vegetable, I would recommend getting rid of it. Immediately. So, vegetable plants need good quality soil, sun and water to grow. So do weeds. In fact, weeds do it better. And because weeds usually are tougher, they win if not controlled. Therefore, home gardeners really need to have a prevention and control plan in place to help keep weeds from taking over. Check out my 8 Steps for Preparing the Garden for Planting! Some common garden weeds identification and life cycle. How to prevent weeds in the garden before they are there. If and when you have weeds, I will give three control methods for weeds. So, let’s get down to it. Here are some weeds you might be up against in your vegetable garden. Grasses – Yard grasses and native grasses. Legumes – Includes invasive clovers. Forbs – Little woody invasive species. Next, it’s time to play detective. I want to help you learn common garden weeds identification by giving you a few science-based resources with great pictures. Now that you know which type you might be dealing with, try to find those plants by using one of the following resources. Hint: The Herbarium will do all the work for you if you just send it in. K-State Herbarium – You can send a plant to them and they will identify it for you. Your state may have it’s own. Check with your local Extension Agent or another local resource. Those big pictures are crutial for proper weed ID! Plus, I get a few new weird ones each year. Why? Because most weeds have rhizomes or seeds that spread from place to place. Let’s chat about that next. How Weeds Spread From Place to Place? Unfortunately, there are a few different ways that weeds are spread. Here are the most common ways. A couple of these seem impossible to control. Yes, it’s true that you won’t kill EVERY weed. There’s no way to control wind or the amount of rain fall you get. Or those pesky wild birds that eat the seeds and then carry them into your garden. Even livestock manure can distribute weed seeds into the garden! But I’m going to give you some methods to control weeds so you can be on top of it all season long. And it’s all about learning to control the life cycle of weeds. I’m going to tell you what you should be focusing on to make those decisions for control options. Yes, you have control options. If you want to spray, you can. If you want to hoe, you can. And if you don’t want to use conventional chemical, there are organic oils you can use as well. In this section on control, I’m going to go into the four main options for controlling weeds in the home garden. Or lawns. Or anywhere, really! Let’s begin with learning about the life of the weed. First of all, you must understand that weeds are living things. They start out as a seed. Then, become a tiny rosette or grassling. And they are best controlled at this stage. If you don’t control them early, they grow and make seed heads. And that is when the danger of spreading occurs. So, let’s get them before that point by working with nature. Burning at the right time to disrupt the life cycle of the weeds (usually early spring before planting). Deliberate uses of plant competition. I’m going to briefly mention this one as an option: Genetic Modification. I strongly believe we will see more crops (note that it takes many years for a safe GMO crop to hit the market). For all of my GMO Answers, I refer to this web site. And I wouldn’t be surprised if more are introduced years down the road. Science is always improving the way food can be grown. Again, I give you options. If you’re totally against using science and biological methods, please check out the next section on mechanical control methods. Ok, so this is the method I use most often if I need a good workout. It’s the method I recommend most often to others…especially to those who don’t care to use chemical in their vegetable gardens. Mechanical control of weeds is physical. It’s also a wonderful stress reliever. Here are some common methods of mechanically controlling weeds in the home garden. Mulching – Covering the ground with straw or hay. Animals could also fall into this category. You could use goats, sheep, chickens or pigs to graze weeds during the off season in the garden spots. So, prior to planting. And after the plants are up, be careful if you choose to cultivate. Here’s a cultivation tool you can purchase. Most vegetables have roots near the soil surface, so a light surface scraping is best. I use this method on delicate veggies, such as carrots and lettuce. My best advice is to control the weeds as they are just coming up while they are little. Check every couple of days and make it a routine to check for young weeds. But, I know how easily it can get away from you. Life happens and sometimes the gardens can get pushed to the side. And then, those weeds have the advantage. So, if you are concerned about killing large patches of weeds, there are a couple of options for some chemicals as well. There are many good herbicides out there for weed control. Most of them you can find at any garden store or center. But there are SO MANY CHOICES! How do you pick the right one for you? Identify your weed problem. Which weed do you want to control? Study the weed. The resources I listed above will help you to learn about the life cycle of the plant. You can also find which chemicals will and will not control it. Then, you can choose the method of control. Biologically, Mechanically and chemically. (And organically but I haven’t gotten to that one yet). I’m not going to give you names of sprays or chemicals to use on your garden. Because there are so many. Plus, I don’t really use any chemicals in my vegetable garden. Why? Because I’m too frugal to spend money to buy chemical when I could physically control them myself! But, I’m going to give you a few ideas in which you can use a few different chemicals to get control of the weeds. Pre-Emerge Spray – You can apply this before you plant your garden for certain weeds. Post-Emerge Spray – Apply this directly to the weeds. Check to make sure it won’t hurt your vegetable crops. Preen – This is a pellet that is simply sprinkled on the ground. My mom always used it underneath tomato plants and it worked well. And if you’re against chemical uses for certain reasons, I will next discuss some wonderful options for organic weed control. 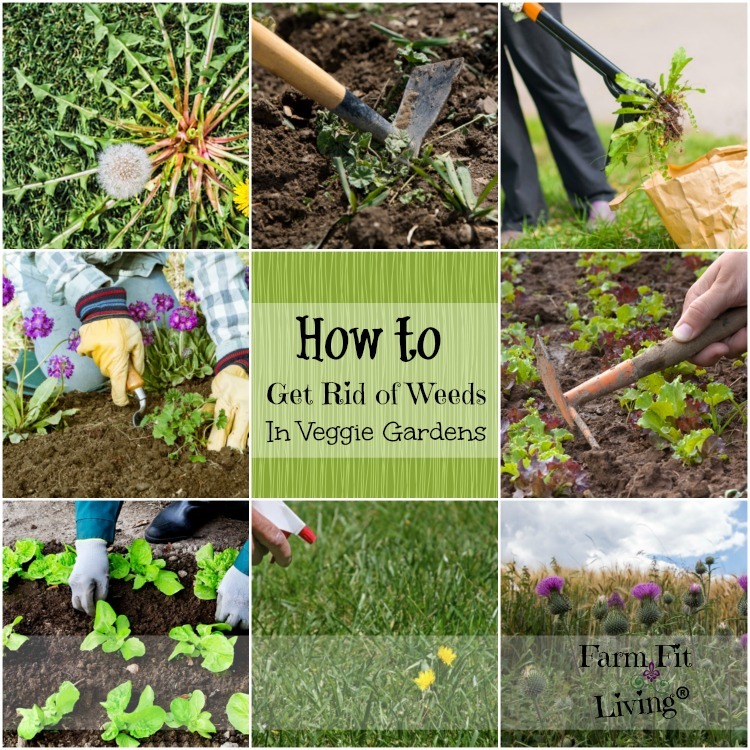 There are a few ways you can look into for how to get rid of weeds in the garden naturally. There are some organic chemicals out there if you’d rather. You can find these options at your local garden center or online. Also, check with other gardener friends who have used organic options to find out what works in your area. Also, please remember with these organic options, you must read labels and ingredients. Make sure it contains exactly what ingredient you need to kill the weeds you actually intend to control. And as always, there are those home remedies for weed control. Here are my thoughts about vinegar and others. 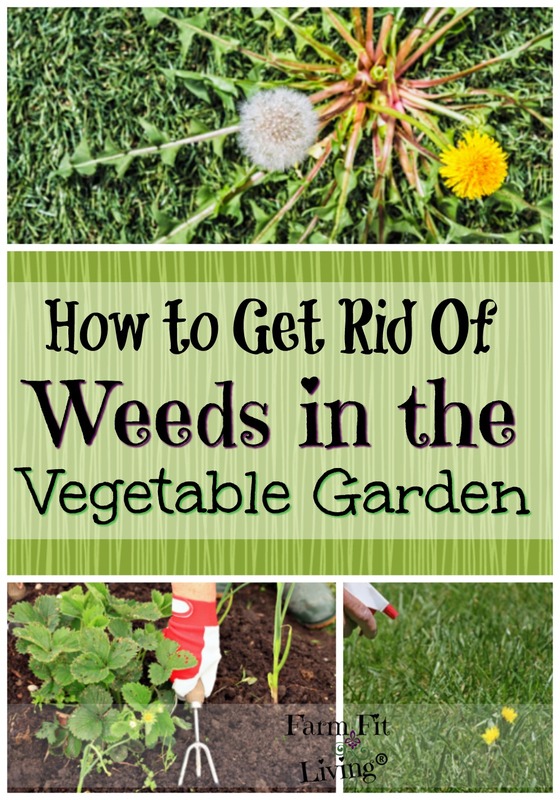 I’m sure you’ve seen this pin come up on Pinterest: How to get rid of weeds with vinegar. Yes, I see it about every other day. And pins just like it. So, what do I think about it? I truly feel that it matters where you are. And if this method worked for someone else, then it might work for you. Try it! I have not tried it and I’m not going to try it. But, what do you have to lose? It’s only vinegar. The main reason I’m against it is because I know how aggressive weeds can be. And I’d rather get them stopped in their tracks than to try something that may be too delicate. There are better ways, but vinegar is cheap. And if you’re looking for how to get rid of weeds naturally without killing grass, then you have nothing to lose here. However, I do believe in prevention first. There may not even be a need for chemicals. Here are some ways you can prevent those weeds from even taking over again. Black Plastic – This works as a mulch. Works well for row crops and hill crops, such as tomatoes, squash, peppers, etc. Purchase yours here. Constant checking – Remember to get your hoe out and just walk rows early on. Lightly dig or pull any new weeds making their way into the world. Strategic watering – Water makes weeds. So, when you have lots of rain fall, you’ll have lots of weeds. And you’ll need to check often for weeds coming up. But, if it’s a dry season and you are in charge of watering the garden, I recommend the next bullet. Soaker Hoses – I love them. They are cheap, you can order them here. And line them down the row. It slowly leaks water into the area where the vegetables are. And that area in between stays dry. You won’t get as many weeds doing it this way. Remember that these prevention methods will not kill ALL weeds. Weeds are invasive little beasts. The best plan is to just stay on top of the control. You can do it! Don’t Make It Harder Than It Isn’t! Weeds are just annoying blemishes in your garden spots. They start small but can soon take over if allowed. It just takes a little bit of effort for controlling them. I’ve talked about a lot of things here. So, let’s review. First of all, you need to understand common weeds and their botanical names. You need to know what you’re dealing with. Then, study the weeds. Learn what type they are and what methods control them. Knowing this information will open up options for you. Next, control. I’ve given you four ways to control the weeds. Biological, Mechanical, Chemical and Organic. Which one should you choose? Finally, learn to prevent those infections weeds from returning again. So, there you have it. I truly hope this information will be helpful to you. Happy gardening! Please comment on this article! How do you get rid of weeds in vegetable gardens? Simple gardening equals smart gardening. 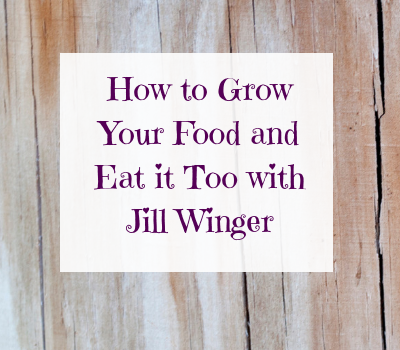 In this short, easy to read book, you'll get access to all the best practices and tips for gardening smarter and more successfully. If you want more information, I'll send it right to your email inbox! Success! Now check your email where you'll find more information about Smart Gardening Made Simple. Learn How to Garden Smarter!